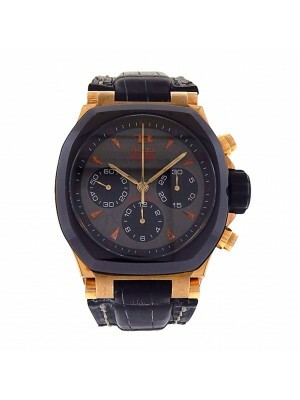 Buti is an Italian watchmaking company that is famous all over the world. This successful company is well-known for developing new and effective methods of timepieces’ assembly and the constant improvement of the products’ quality. It still surprises numerous connoisseurs from different countries with new and unique collections of deluxe timepieces combining different innovations, original design, and high-quality materials. Buti watches embody a great sense of taste, delicate style, and craftsmanship of the best watchmen in the world. The entire manufacturing process is controlled by the founder of the brand Tommaso Buti and his loyal experts. The brand is famous from 2001, and it manages to remain the leader of the luxury watch manufacturing market. It introduces different deluxe models of high-end timepieces to its clients and real connoisseurs of elite wrist watches. The firm was invited to introduce its products on the famous exhibition in Basel that took place in 2002. That year was extremely successful for the company, as it launched 3,500 of different watch models. Those who want to obtain Buti timepieces of the holistic excellence and a unique design can find these products in twelve countries. Beautiful and luxurious watches of the famous brand are popular not only in Europe but also in many other countries like Russia, Japan, the United States, and so on. However, the firm doesn’t stop on this and continues to surprise the public and rivals with its new timepieces combining original style, refined lines, and high-quality materials. The most skillful watchmen in the industry assemble details of famous Buti timepieces by themselves, and they select materials thoroughly in order to provide customers with only best accessories of the famous brand. Every day, the Buti manufactory invents and creates unique and perfect wrist watches for the most demanding customers. The straps of Buti watches are made of stainless steel and leather of the high-quality. If you want to buy timepieces decorated with diamonds or other precious gems, you can find a great variety of products in the company’s catalogs. Collections of the Buti watchmaking house include FB one Top chronographs, Carbonium, Evont, Shark and many other product lines reflecting the craftsmanship of the brand’s masters in the best way. One of the favorite women’s collections is Lulu. These stylish wrist watches are presented in two colors – red and blue and inlaid with the most precious diamonds. The case of these elegant timepieces is made of top-quality stainless steel. Due to the simple mechanism, everybody can wind the watches easily and quickly. Taking into consideration the high demand for Buti used watches, one can tell for sure that these accessories are worth buying. You will not find wrist watches fulfilling your requirements better than Buti timepieces do. Besides, the great amount of collections provides you with a better range of products to choose the most appropriate for you. Here you can find many interesting offers of the great brand that will definitely captivate you with the marvelous design and unprecedented quality. Be yourself, wear only the best watches!